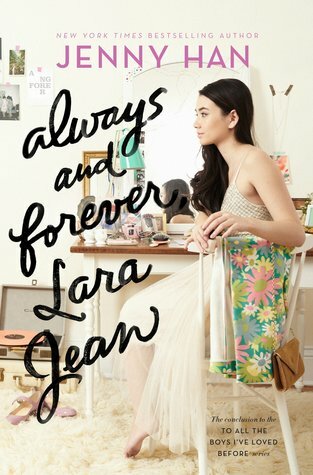 Synopsis: Lara Jean’s letter-writing days aren’t over in this surprise follow-up to the New York Times bestselling To All the Boys I’ve Loved Before and P.S. I Still Love You. So I was initially not going to read this book because I was convinced I was not going to like it. I was not a fan of the second book of the trilogy (at the time it came out though it was a duology) so when I heard a third book was coming out, I was a bit weary of picking it up, and pushed it off to the side. I'm so glad I picked it up though because reading this book was exactly what I needed. What to say without spoiling anything... This book is everything I wished the previous book was. The first half of this book was a bit iffy for me because it seemed like there was no plot and I was getting a bit annoyed with Lara Jean which was my big problem with the previous book, but things got real and I really started enjoying the book. This book brought me back to my high school days and just filled me with feels. Even though overall I was not a fan of high school, I do miss somethings, and it was such a simpler time. I can remember graduating and me and my friends promising to stay friends forever. LOLOLOL now I legit only talk to one person I went to high school with and that's my best friend in the whole wide world. I mean, I don't even talk to my twin brother like I did before we graduated. High school was a less stressful time and I miss the way life was easier back then, though at the time I had no idea how easy it was. Basically, this book reminded me of all the feels of high school and the conflicted thoughts on graduation. Granted, I never had a boyfriend or a relationship of any sort like Lara Jean does, but still, the same overall feelings were there. Writing-wise, the writing was eh, but I was expecting that based off the last book. Despite this, there were some really beautiful parts and times when the writing just got so real that I just had to stop and let myself deal with the emotions I was feeling and wrap my head around somethings. Overall, I really enjoyed this book which was a pleasant surprise. I'm glad I put off reading this book because right now was the perfect time for this sort of contemporary read in my life. I'm doing research this summer and I'm all by myself with no friends around, so I've had a lot of me time, more me time than I'm used to. I've always enjoyed being alone, but I've really started learning the difference between being alone and being lonely. Reading this book filled me with happy, summer vibes that I needed and makes me want to start doing things on my own. Everything aside, I truly believe this was the perfect ending for Lara's story. I am satisfied with how things ended and am really happy with how Jenny Han wrapped things up. This book did the story a justice that the previous book just couldn't do. So, have you read this book? If so, what are your thoughts? If not, have you read the other books in the trilogy? If you haven't, I highly recommend giving this series a try if you are looking for a feel-good summer contemporary read.